Eagerly anticipated and subject to considerable conjecture regarding the form it would take, Plaxton’s new small coach option was unveiled at Scarborough last week to an enthusiastic welcome from operators. 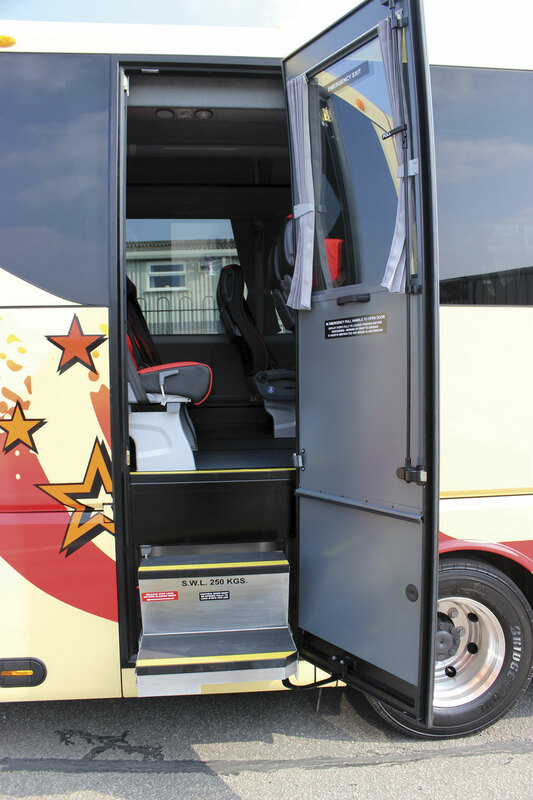 Wider, longer, heavier, more expensive and with a higher seating capacity than its predecessor, the new Cheetah XL is an attractive, high quality midicoach with all of the quality for which Plaxton has become known. 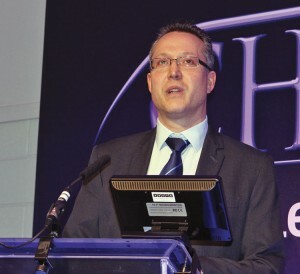 It marks another step forward for Plaxton and Scarborough which was purchased by Alexander Dennis eight years ago soon after Colin Robertson joined the company as CEO. Under ADL ownership it has seen in excess of £10m invested in it. Noting that Plaxton was 108 years old and during that time it had ‘stared down the barrel of a gun a few times,’ Colin said that, ‘Scarborough is now at the heart of a company that has grown three fold,’ with ‘production at the site up from 300 to around 850.’ As a company ADL now bodies 28% of new coaches in the UK and had a 45% share of the bus market. Plaxton’s Mercedes-Benz Vario mounted Cheetah minicoach was the UK market leader in the 25-33 seat sector and with over 1,500 sold since the introduction of the first version in 1997 it has been a good servant to Plaxton and latterly to Alexander Dennis, as well as the many operators running them. All good things come to an end and with Mercedes-Benz not taking the Vario on to Euro6 a new offering from Plaxton was hotly anticipated. The trouble was that, agricultural and dated though it was, there was no obvious alternative to the Vario offering the same load carrying capacity, pricing structure and reputation for long term flexibility and reliability. Plaxton looked hard, considered a number of alternatives including their own Enviro200 underframe and the MAN TGL truck chassis, but after discussing their needs with existing Cheetah customers concluded that the overwhelming preference was to stay with the three pointed star and go with the Mercedes-Benz Atego. Whilst opting for the Atego was not a surprise, it inevitably means that the new Cheetah is an entirely different beast to the previous one. Apparently, the XL stands for Xtra Large, appropriate because the Atego is a bigger coach altogether and there are places a Vario would have gone that it simply won’t. Though the defining lines are often blurred, at 9.6m long and 2.5m wide the Cheetah XL is quite definitely a midicoach whereas the Cheetah was a minicoach. There are Atego models with permitted GVWs of between 6.5 and 15 tonnes. On the face of it, the 9.5 and 10.5 tonne variants would have been closer to the capacity of its predecessor, but in truth, weight was always an issue that constrained the Vario. The body structure for the Atego was always going to be heavier so opting for a lower GVW would only have reintroduced the same constraints and potentially limited passenger capacity, so Plaxton decided upon the 12-tonne version because it gave the flexibility required. Illustrating the point, it was shown that with a body weight of 4,565kg and a chassis weight of 4,240kg, the Atego 0918 has an unladen weight of 8,805kg and a maximum GVW of 9,499kg which would not have given any luggage capacity with 33 seats, whereas the slightly heavier Atego 1218 weighing 4,362kg giving a total ULW of 8,927kg would have a GVW of 11,990kg giving a payload of 3,063kg and a luggage capacity of 504kg with 36 seats. Customer consultation extended beyond chassis choice to what exactly potential customers were looking for from the vehicle and this research revealed that a minimum of 33 seats was a must and also that the door arrangement should be as straightforward as possible. Maximised luggage capacity was another item high on the wish list. Using a front engined chassis developed for truck applications always generates issues with regard to door position. Going for a forward door, ahead of the wheel, entails creating a complicated staircase that skirts the engine. 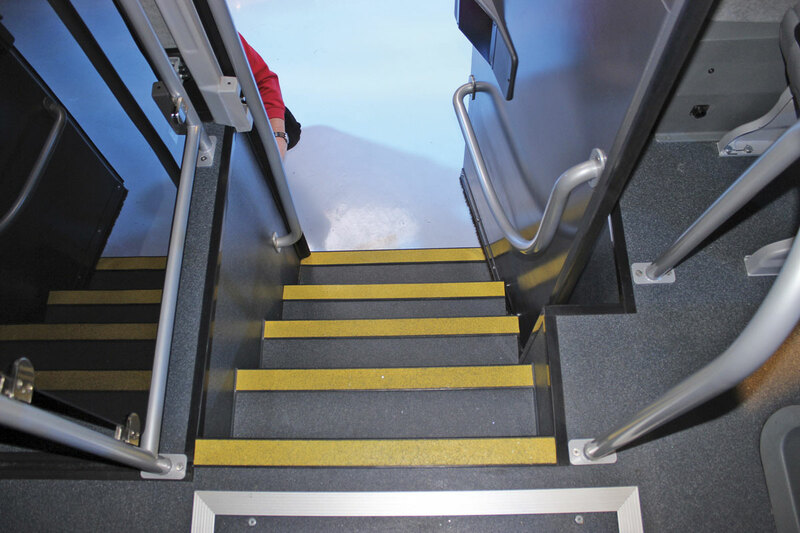 Though this arrangement does maximise space for seating it makes boarding and alighting more difficult for passengers, who must twist and swivel to negotiate steps that are often small or at odd angles. Plaxton opted for a Tamware powered pivot door immediately behind the front wheels and a straight staircase. 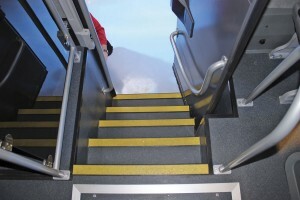 The five steps from the ground to the flat saloon floor are a rather more daunting obstacle than the particularly easy three-step entrance of earlier Cheetah generations, but handrail provision with a full height pole to the right of the entrance, a substantial door mounted rail to the left and a further rail toward the top of the stairwell, do make this a more straightforward proposition. 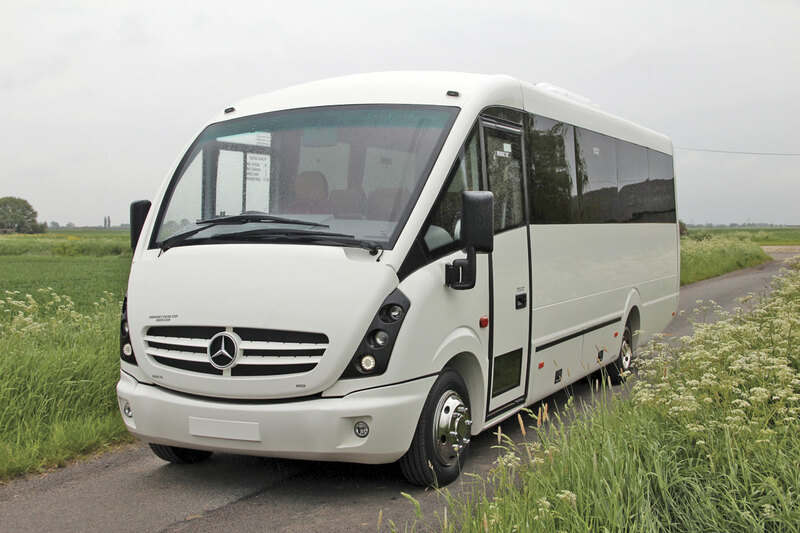 As on other Plaxton models, the entire frame is constructed in stainless steel for long term durability. It meets ECE R66.00 rollover requirements and will be further developed for the forthcoming ECE R66.02 standard, scheduled to become mandatory in 2017, in the coming three to six months. The roof is one piece aluminium sheet, the main side panels are single piece composites, the lower panels are aluminium and the top hinged locker doors are aluminium skinned. 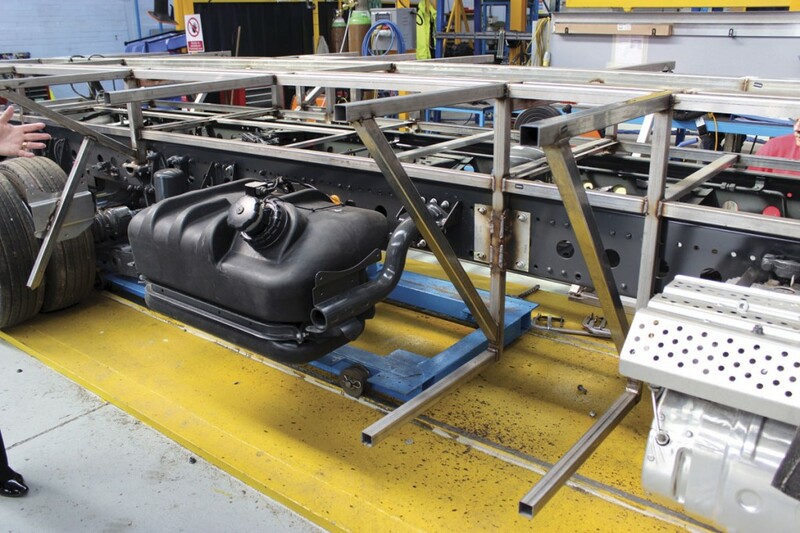 The frame is not mounted directly on top of the chassis frame but some way above it in order to increase the available luggage capacity, with space provided beneath the full length of the saloon. This is one reason why the number of stairs is increased. In total, the underfloor luggage capacity is eight cubic metres, which is more than twice that of the former Cheetah. Furthermore, it is easily accessible with nearside locker doors and, at the rear, a conventional boot lid as well as flaps for access on both the nearside and offside. There is some chassis frame intrusion in the boot but despite this it is an impressively good capacity for a truck chassis mounted coach. In appearance the vehicle borrows much from other members of the Plaxton coach range. 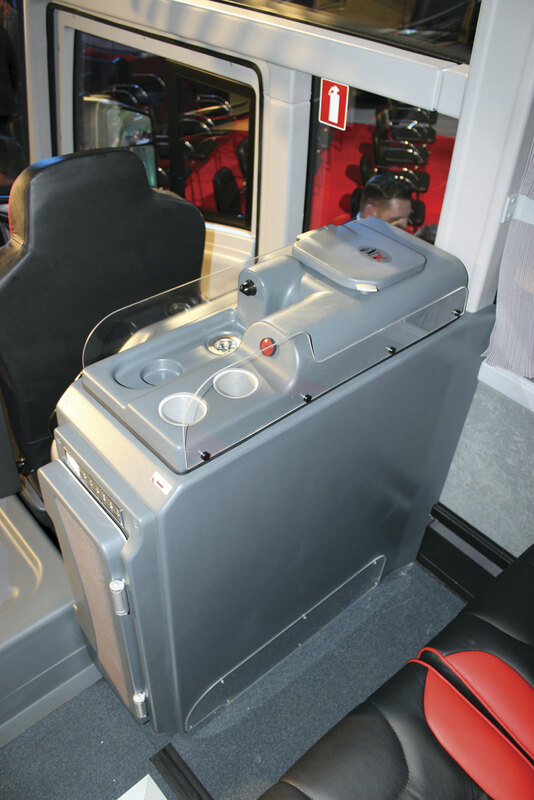 The front panel, with its prominent three pointed star within a circle that doubles as the demister air intake, has a one piece front screen and is exclusive to the Cheetah XL, but the side and rear borrow heavily from other Plaxton models, especially the Leopard. The rear has the distinctive rear window that is a feature across the range, while the main lower side panels are common with the Leopard and though shorter, the stretched side panels are of the same depth and profile. Side and rear double glazing is tinted and bonded in place and also has a degree of commonality as the main bay length is the same. Similarly, the front lower corner panels are interchangeable. 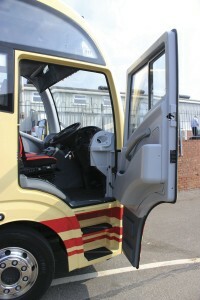 The other side effect of having the front engine is the requirement for a driver’s door as the driving position would otherwise be inaccessible. 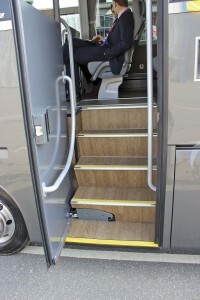 Plaxton are in the process of substituting the standard Mercedes-Benz handrail for something more coach like in appearance but otherwise the well thought out cab is largely standard Mercedes. There is an air suspended driver’s seat and above it a pod with controls including the climate control air conditioning system (a roof mounted Thermo King X500). There’s a full width motorised electric sunblind and the low mounted side mirrors, which are electrically controlled from the cab, are easily adjusted and give a good all round view. 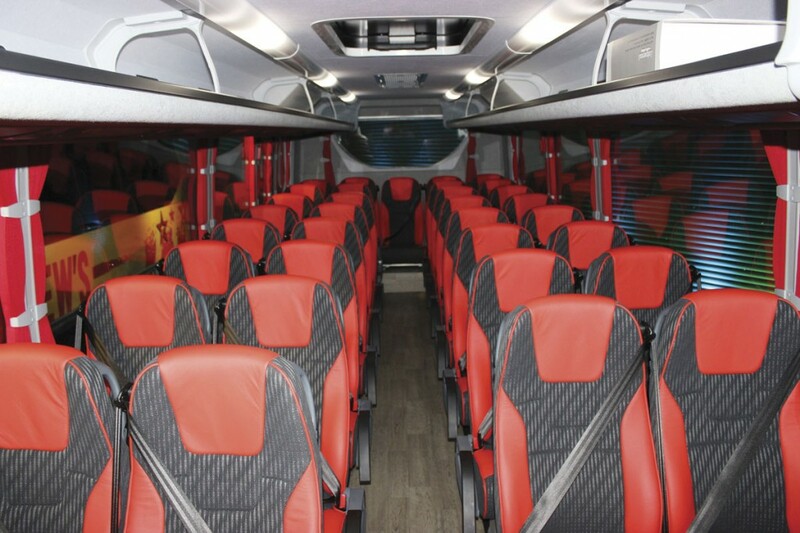 Just as the structure shares extensive commonality with other Plaxton models, so does the interior with the same racks as other members of the range, with individual service units featuring reading lights and ventilation nozzles. Like the side casings and ceiling, the racks are trimmed in soft feel Microtrim fabric. 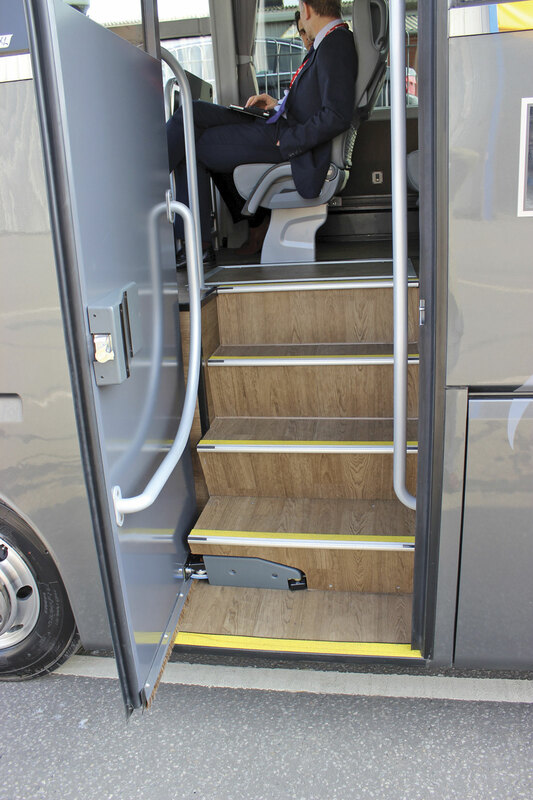 There is a powered drop down monitor mounted over the engine at the front, a single centrally mounted glazed roof hatch, a carpeted gangway and entrance area, and in-coach entertainment including an AM/FM radio, CD, PA system and driver and courier microphones. Down-lighters are provided over the entrance and all interior lighting employs LEDs. In accordance with customer wishes, the seating capacity is a maximum of 36 on Brusa Extend 300 recliners. Base versions of the three-point belted Brusa Extend 300 recliner come with moquette or soft finish trim and leather headrests inserts and piping as a starting point, with operators having the option to go beyond this. 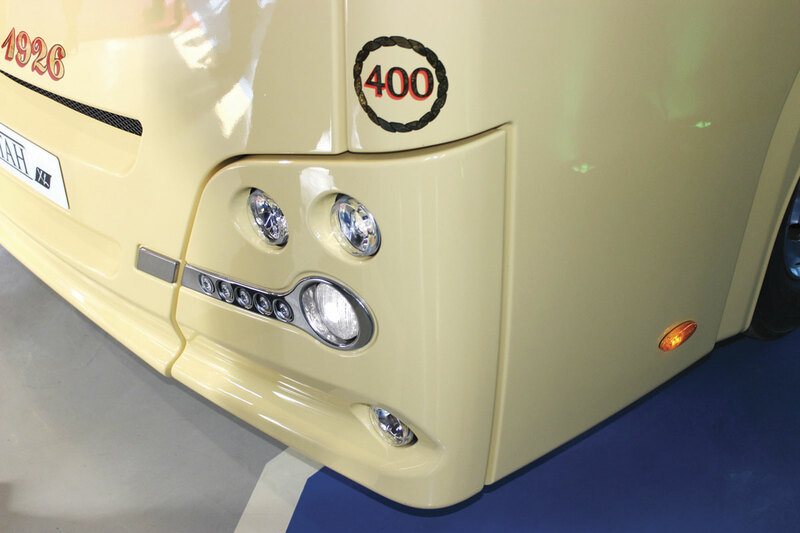 The 36 figure includes a single nearside seat at the nearside front ahead of the door and alongside the engine that was originally envisaged as a courier seat but proved to be certifiable for passenger use. A courier seat could be installed to the side of the entrance though I suspect that when couriers are on board they will take the seat originally designed for them. I noticed on the Prospect coach that the microphone sockets for the courier were located alongside it. All other seats are doubles apart from the five place rear row. It is possible to specify a rear nearside Shades Technics toilet compartment, as Prospect had done, which loses a four seats and adds around £5,000 to the purchase price. Prospect forfeited an additional seat by installing a servery unit on the centre seat of the rear row. 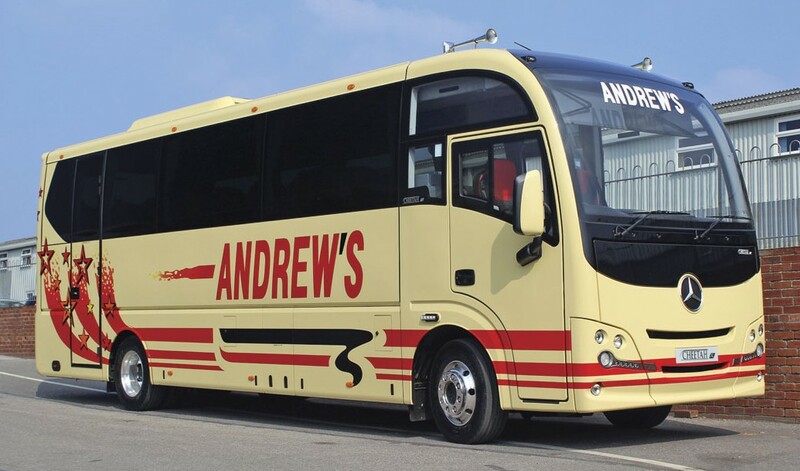 Andrew’s Coaches of Tideswell had taken a different approach to the servery issue by specifying a standalone unit between the driver and the first offside passenger row which did not limit the passenger capacity or unduly impact on the legroom. I believe this option added around £3,000. Something I have not recently seen on Plaxton coaches is the option to have additional brightwork. Both the York Pullman and Prospect coaches had a chrome effect trim line following the lower window line and up around the rear most side window in a style that reminded me of the Van Hool TX. It looked very effective, though I didn’t feel the look of the Andrew’s coach, which didn’t have it, suffered for the omission. The option costs around £900. 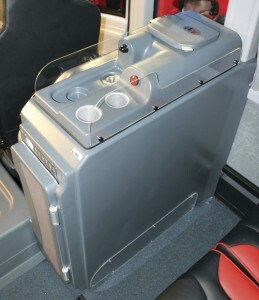 Apart from the toilet unit, standard optional items available include various serveries, DVDs, entertainment packages and seat trims, a courier seat, perimeter convection heating and a separate driver air conditioning unit. The Mercedes-Benz Atego has the latest BlueTec OM934 four-cylinder, 5.1-litre (not 4.25-litre as the Plaxton brochure says), common-rail, Daimler engine which was newly developed for Euro6. 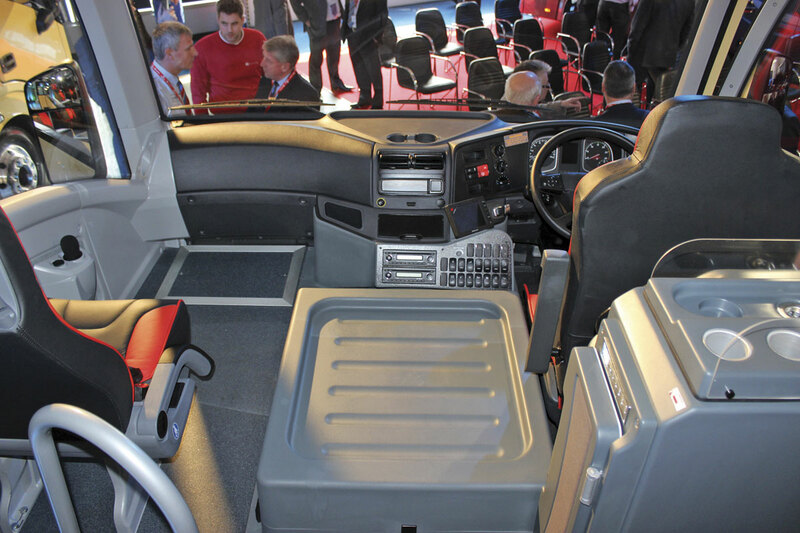 Plaxton is specifying the Atego 1218 as standard which has the 177bhp/130kW output unit which delivers peak torque of 750Nm at 1,200-1,600rpm. This represents an 18% increase on the power of the Vario, though it is a heavier coach. The gearbox is the Daimler Powershift 3 eight-speed automated manual transmission and there is a permanent magnetic retarder. Suspension is full air at both the front and rear and disc brakes are fitted all round. Bridgestone 265/70R19.5 tyres are standard on optional 19.5inch RheoForge alloy eight spigot rims. The fuel tank is a 180-litre unit which Plaxton relocate to the offside along with the 35-litre AdBlue tank in order to maximise the luggage capacity accessible on the nearside. 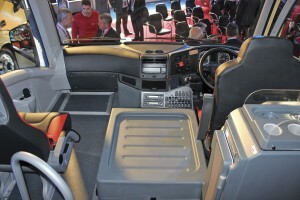 The vehicle comes with FleetBoard EcoSupport which provides driver tips to help improve economy. It also benefits from 12 months full Mercedes-Benz warranty and a second year driveline warranty covering the engine, gearbox, propshaft and drive axle up to 250,000km. 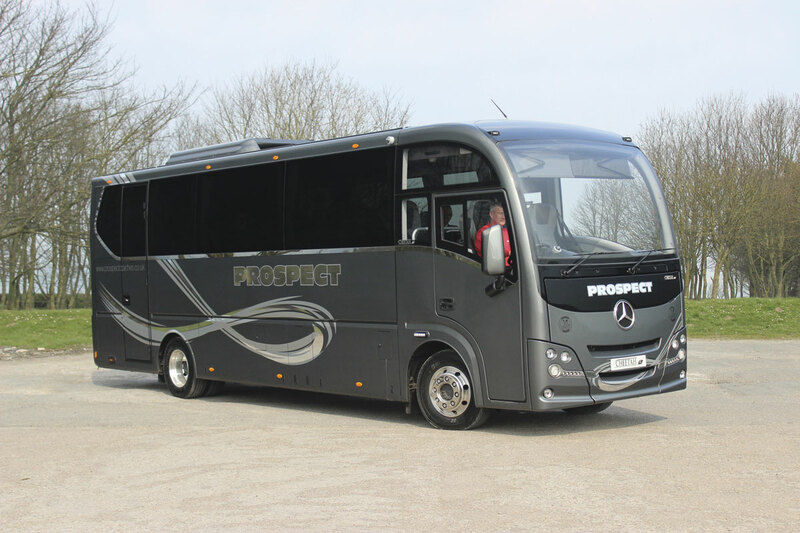 In cost terms, the Cheetah XL marks a big departure from the sort of amounts Cheetah customers were accustomed to paying with a retail price for a straightforward 36 seater of £159,000. That does include quite a high level of specification and the move up to Euro6 but it is still a lot more than the customers have been used to paying for a Cheetah which was never more than £120,000. 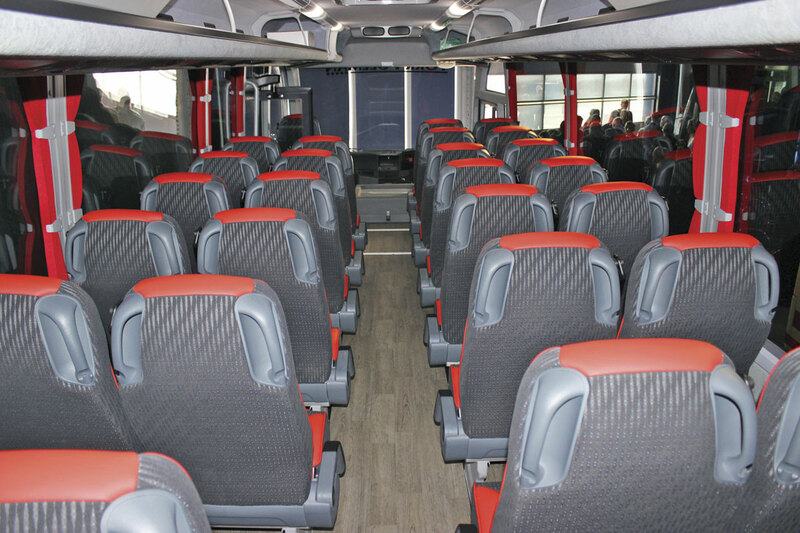 After the presentation of the coaches and a tour of the factory, guests were divided into groups and given the opportunity to take a ride on one of the new coaches. 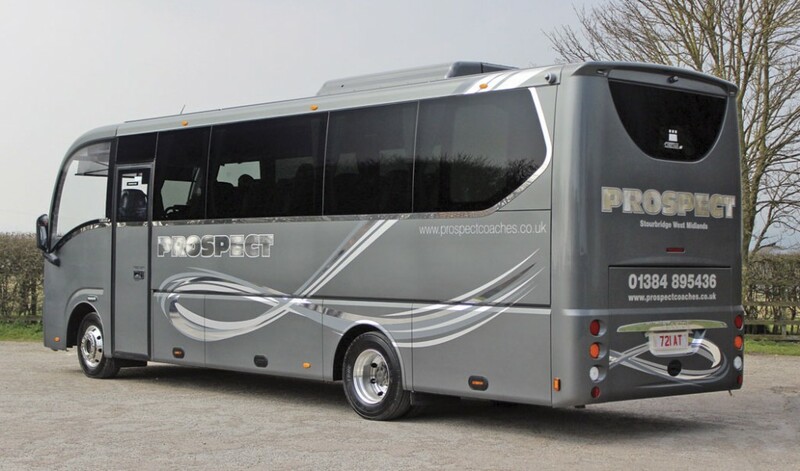 I joined the party on the coach destined for Prospect Coaches, which is the same vehicle used by Plaxton to conduct testing work at the Millbrook proving grounds. The first example built, it showed no sign of this with everything I saw completed to a high standard, indeed all three of the launch coaches were finished to a high standard. My first impression was that it is impressively quiet for a front engined coach, noticeably better than the old Cheetah ever was, with conversation easy even if you are sat in the front single seat. The ride quality is good, and the feel is definitely that of a large coach rather than a minicoach. The higher ride height gives a better view than the old Cheetah and the large front screen and deeper side windows are also effective in this respect. There aren’t many hills on main roads steeper than the 16.4% of the steepest section of Staxton Hill so it was brave of Plaxton to include it in a ride experience. On the steepest section it struggled for power and was working very hard, but it coped and accelerated away when the slope lessened slightly. It would probably have benefited from use of the kickdown facility before momentum was lost but our driver didn’t realise until too late that it had one. This apart, the coach never appeared to be struggling. It later transpired that the gearbox was on economy rather than standard setting, which, I was told, would have ensured it maintained third for the climb. Daimler also offers 211hp/155kW and 231hp/170kW versions of the OM934 engine and the 211hp/155kW option can be supplied to order. For the four-cylinder it would just be a case of reprogramming an existing unit. There is also the six-cylinder OM936 engine and though there are no current plans to offer this, it could be investigated if there is demand. I said earlier that over 50 orders had already been placed for the Cheetah XL and some details of who they are going to were released. 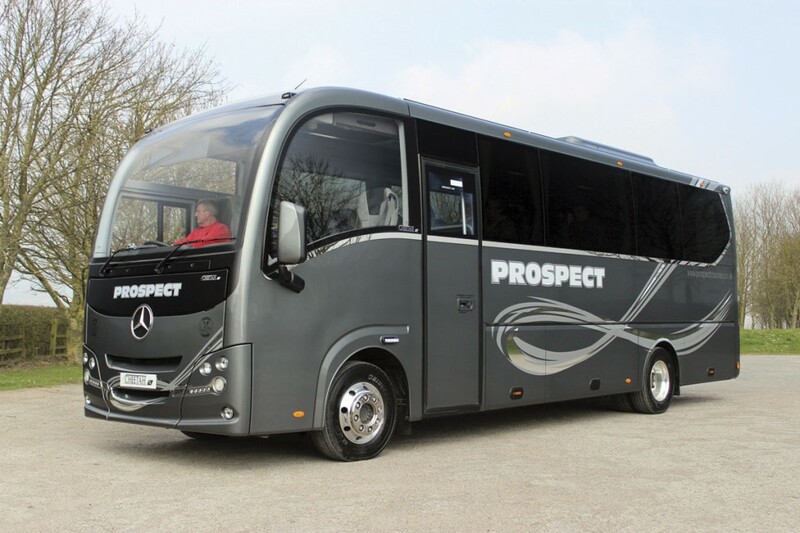 As we saw, the initial example, ordered 18 months ago, is a 31-seat executive specification version with rear nearside toilet going to Prospect Coaches of Lye in the West Midlands where it will join a 10.8m Volvo B9R Panther Cub and many other Plaxton coaches. Also at the launch were 36 seaters for Andrews of Tideswell in Derbyshire and York Pullman. 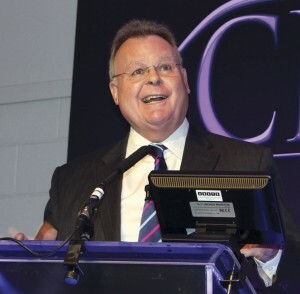 Other independent customers announced include: Selwyn Travel, Cheshire (part of RATP); Country Lion, Northampton; Attain Travel, Birmingham; Carol Peters Travel, Kent; and Malbank of Cheshire. Rental companies placing early orders for the model are Mistral, which has taken ten, and Dawsonrentals which is also taking ten. Paul Sainthouse of Dawsonrentals told me that the first five of these had already been placed and interest was such that consideration was already being given to placing a further order for five. 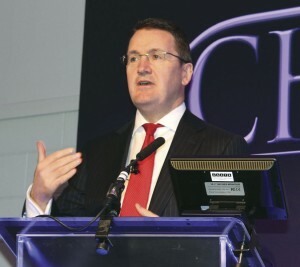 In addition, both Babcock Land and Ryder Limited, who have previously supplied considerable numbers of vehicles to UK Government customers, have also placed orders, with Babcock signing up for ten. If you want to acquire one, the demand is such that Plaxton are currently quoting October/November delivery though Mistral and Dawsonrentals could supply well in advance of that. 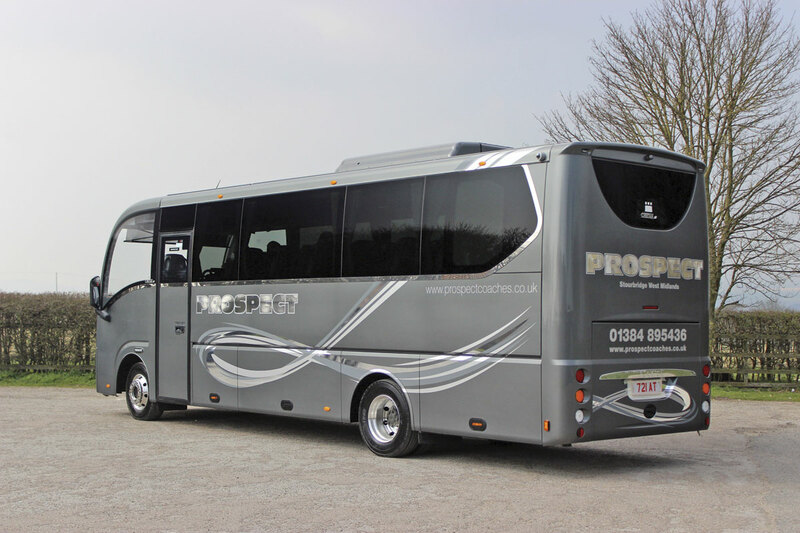 Since Vario based Cheetah production ceased in mid 2014 with the final stock build examples quickly snapped up, the smallest coach in the Plaxton range had temporarily been the 10.8m Panther Cub on a shortened Volvo B9R chassis. It gives a maximum seating capacity of 45 passengers. Never a huge seller, it remains in the range, though Euro6 examples will be on the B8R chassis. Inevitably, it costs only marginally less than a full sized coach so you would anticipate that the lower price of Cheetah XL may well abstract some of the business the Panther Cub formerly attracted. 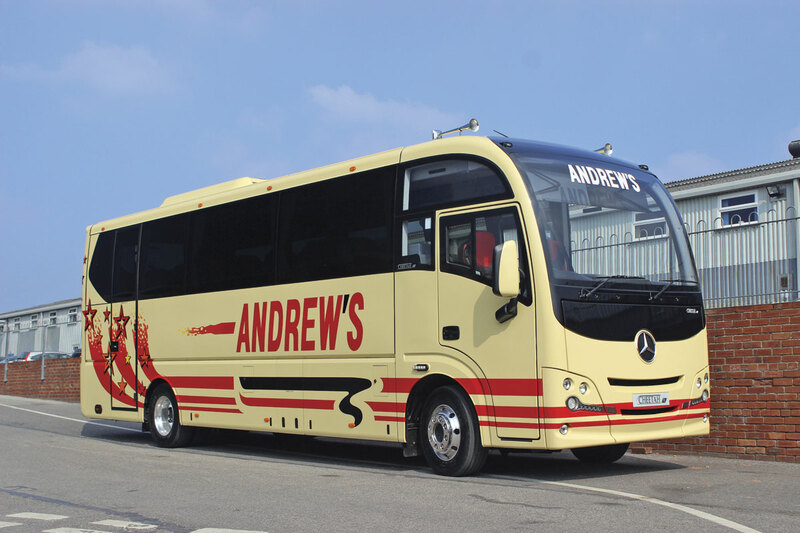 I asked Russell Andrew of Andrews of Tideswell what had prompted him to buy the Cheetah XL and he explained that the company already had two Cheetahs, a 2007 29-seater and a 2011 33-seater, and both were flat out. His original thought had been that it would be a replacement for one of them but they are both so busy that they will be retained. He thought it also served a slightly different market saying, ‘it’s not really a Cheetah. It’s virtually a little coach.’ Although the single front seat gives it a 36 seat capacity he will market and sell it as a 35 seater. The intention is that it will be used on excursions and private hire as well as school contracts if it is needed for them, ‘any vehicle we have does anything’ he said. The Cheetah XL might not be destined for export markets but ADL is doing extremely well with other products it has developed to meet particular needs. ADL does not have the international strength of some of the biggest players but, as Colin made clear, it has nothing to fear in terms of product quality when competing in many of these markets. 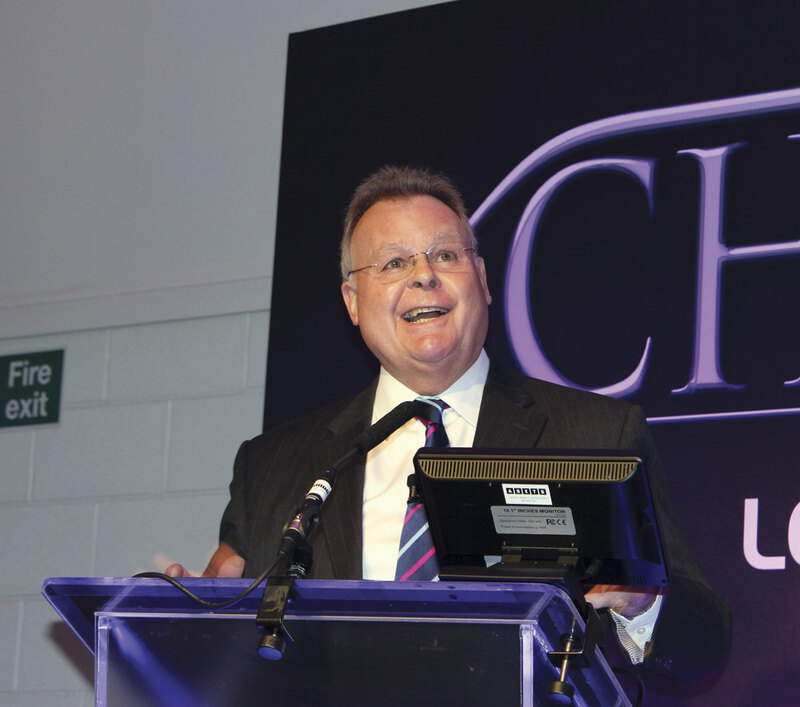 ‘If we can be best in the UK we can be the best anywhere in the world,’ he said. Recent evidence of this is the setting up of a new Canadian factory in Mississauga, Greater Toronto, to build Enviro500 double deck coaches. It has won an order from Metrolinks, the local transport authority for at least 253 and up to 403 units over the five years from mid 2016, with an option to extend beyond that. It will also give the opportunity to build product for other operators in the region, where ADL believe the double decker is no longer seen as quirky but as a mainstream solution. There has been success in the single deck market too, with the first 100 Enviro200 single deckers sold through ABC, a well respected independent dealership in which Van Hool has a stake. They are completely built at St Cloud in Minnesota. The ADL brand is well regarded in Canada where ADL/Plaxton have product that has now been operating successfully for 15 years. Prior to the Metrolinks order, ADL already has 800 double deckers operating in North America. 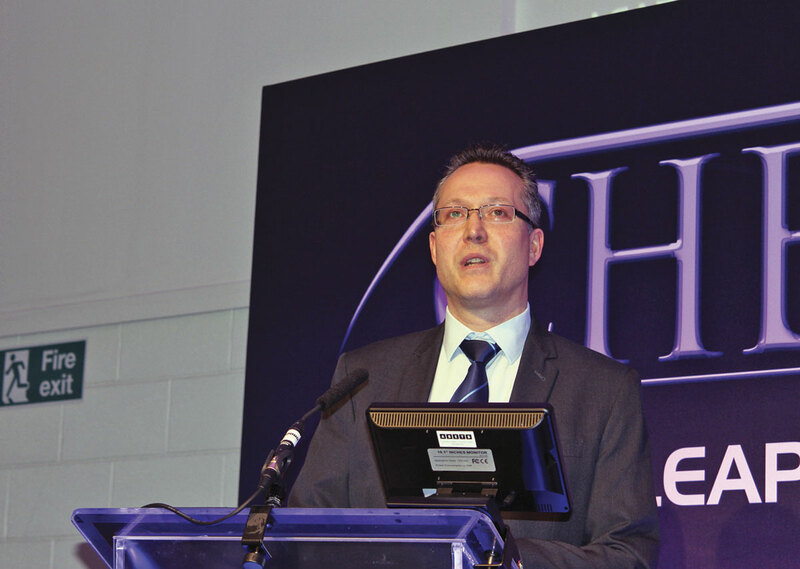 Having spent £18m on research and development in 2014, it is anticipated that the 2015 total will be over £20m, Colin Robertson revealed. 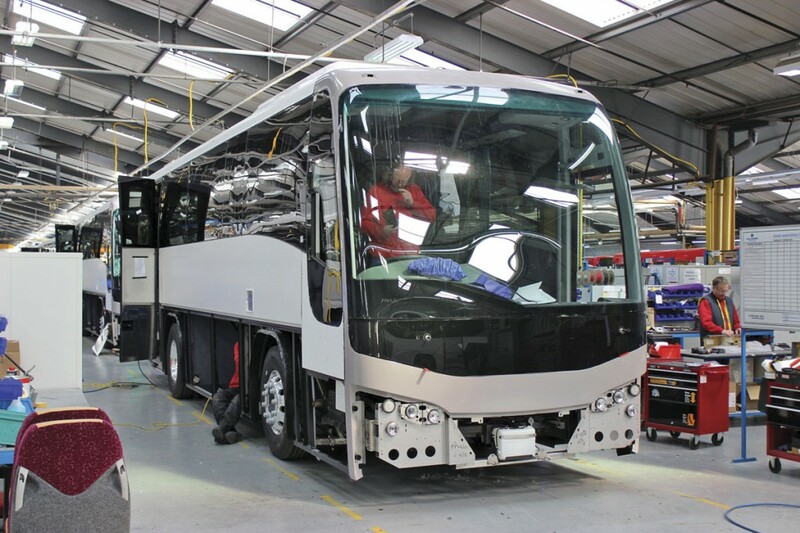 Cheetah XL is only available with Euro6 power but many other UK models, especially on the bus side, can still be supplied to Euro5 emission standards as the UK has still to come in line with the rest of Europe. Colin said ADL would build what customers wanted but admitted that he had expected deliveries to be 70% Euro6 by now, however there is still very significant demand for Euro5. Going into 2016, logic would suggest that in the double deck market orders should be nearly all Euro6 although here might be a small residual Euro5 demand. Similarly, in the single deck market, logic would suggest that by the end of the year Euro5 should cease to be available but if Wrights and Optare continued to supply them, ADL would also do so. 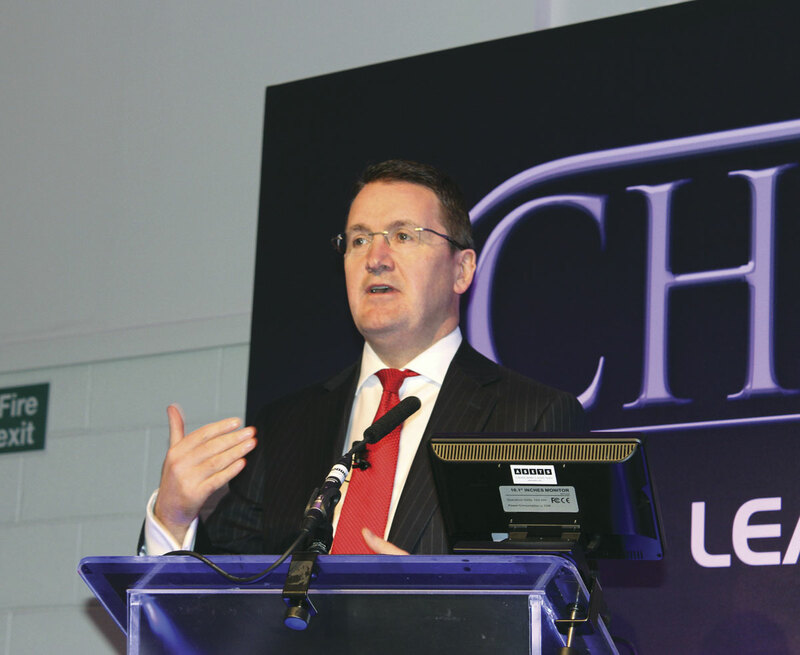 Healthy though the advance orders for the Cheetah XL are, it is likely that it will only represent around one percent of ADL’s total turnover, which will disappoint Colin Robertson if it doesn’t reach £600m this year. Although in this context it seems of very minor importance to the group, it illustrates ADL’s ongoing commitment to maintaining the Plaxton brand and serving the UK coach market. Cheetah XL is conceptually and physically an entirely different proposition to the previous Cheetah and though there is considerable overlap between the potential customer bases for the two, there will inevitably be a degree of shift if only because of the higher price. XL represents a move up market and the early signs are that despite the many differences, it matches the aspirations and needs of a large number of operators. Cheetah is dead, long live the Cheetah XL.